Choosing the best keywords and keyphrases for your small business is an integral part of successful Search Engine Optimisation (SEO) and driving targeted traffic to your website. Keyword research can help you with on-page optimisation and the creation of relevant, high-quality content. We take a look at how to build a useful list of keywords with the help of Google’s free Keyword Planner tool. Keywords and keyphrases are essentially the words people type into search engines when they are looking for a particular product or service online. With SEO you are essentially optimising your online presence to try to rank higher in the ‘organic’ (non-paid) search engine result pages (SERPS) for searches closely related to your business. Of course there are all sorts of elements involved in how search engines rank businesses on SERPS but keyword research is central to helping you gain better ranking and ensuring the right people are linking through to your site. Don’t be afraid to ask for other people’s opinions such as suppliers, existing customers, friends and family. Other points of view can give you a fuller and more accurate picture. Once you have a starting list of keywords related to your business you can utilise free tools such as Google’s Keyword Planner to help you build up your list. These tools can help generate keyword ideas and provide estimates of monthly search volumes for specific keywords of phrases. With some time and experimenting you can build a useful lists of relevant, optimised keywords to implement online. Google Adwords is really designed for pay-per-click advertising (PPC) but its Keyword Planner is also a great free tool for small businesses and start-ups to use to help with their keyword research. To get started you just need to register for Google Adwords. Google Support provides helpful step-by-step advice to using its Keyword Planner that will guide you through getting up and running. Alternatively another article I found really useful was from SEOMARK which takes you though the process step by step and is written specifically for those not using Adwords for PPC purposes. Click on the drop-down ‘Tools’ menu and then select ‘Keyword Planner. Click on ‘Search for new keyword and ad groups ideas. You can now start getting keyword ideas and getting a feel for the kind of volumes particular keywords of phrases bring in. Type some of the initial keyword ideas you came up with that described the fundamentals of your business into the ‘Your Product and Service’. In the example below I’ve typed in ‘handmade silver jewellery’. This will provide you with the average monthly search volume for the keywords you entered. Underneath is a list of similar keyword suggestions from Google. Keep experimenting with keywords and phrases to help build a useful list of relevant keywords. You can build specific keywords lists for each page of your website. The average monthly search volume will give you an indication of a keywords usage. Don’t forget about investigating long tail keywords as well. These are usually phrases of 3 or more keywords. For example ‘silver jewellery’ is a very broad term, the monthly results may be high but the quality of traffic may be poor with conversions low. A long tail keyword is longer and can be more specific to your business for example ‘handmade stirling silver necklaces’. The search volumes will be lower but it is more targeted and the quality of your visitors may be better, which in turn may result in a higher conversion rate. Once you’ve researched and created your keyword lists you should put them to good use to optimise your online presence and target your content marketing. This will help towards your SEO efforts. 1.Use your keywords to optimise your web pages. Ensure that you utilise your keyword lists to include relevant keywords and phrases for each individual page. Pages URL: Create a short, explanatory URL using keywords that accurately reflect the content of the page. Title Tag: This is the headline for your pages search listing and appears on the top of your browser. It is really important to include strong keywords here – the general consensus seems to be to aim for about 55-60 characters. Meta Description: Like Title Tag, your meta description doesn’t appear on your page but on the search engines results page. It is essentially additional copy reflecting the content of your page. Try to make is compelling as possible using appropriate keywords and phrases from your keyword list. Body of content: Use relevant keywords naturally in the context of your copy throughout the page.Whatever you do do not ‘keyword stuff’ search engines will spot this and it will work against your rankings. Essentially if you aim to provide, relevant, interesting and engaging copy for your prospective customers you won’t go far wrong. Images. Adding relevant ALT attributes to your images help the search engines identify what your page is about. Use your keyword lists ideas to generate interesting and compelling content for your prospective customers. In addition to on page optimisation, use keyword research to hone the content of your blog articles, press releases, infographics, white papers, news articles and social media. Search engines love unique, high quality, fresh and engaging content. Utilising your keyword research will only help you in your SEO efforts. Hopefully this has given you a bit of insight into the important part the right keywords can play in organic search and where your business ranks. Undertaking keyword research is a really beneficial exercise and there are some great free tools like Google’s Keyword Planner that can help you build a useable list of optimised keywords and phrases for your online business. We’d love to hear your thought and experiences on this, so please do leave a comment. As a small online business owner or e-commerce start-up not only do you have a million and one things whirring around in your head, you also have to contend with small budgets, limited resources and constant time pressures. Having to then dedicate even more head space to performance measurements like web analytics can feel somewhat overwhelming. You can be left wondering where to focus your time and effort in a sea of numbers. To help you get the ball rolling we’ve outlined a few key measurements that are quick and easy to understand and can tell you all sorts of helpful things about your performance. Of course there are all sorts of different ways for you to measure your marketing performance, from number of ‘likes’ on social media, customer satisfaction surveys or in-depth analysis of web analytics. Your chosen measurement depends on your goals and objectives and how much time and resources you have available. Getting started with metrics can feel a bit daunting but the trick is to start small and focus on some key measurements. Don’t be tempted to rely on a scatter-gun approach to marketing where you do lots and hope that some of it will pay off. With small budgets it is essential that you can account for every penny and feel secure that the money and resources you’ve invested are working hard for you. Sign up to Google Analytics and learn to analyse what it is your metrics are telling you. You can then implement whatever changes are necessary to optimise your performance. The last thing you want is to throw good money after bad. We’ve outlined below some simple to understand measurements that can quickly help you identify areas that are paying off or conversely need improving. Of course, there are all sorts metrics you’ll want to analyse as your business develops but these five are a great starting point. What is it? Bounce rate is almost self-explanatory, it identifies the percentage of visitors to your site who view just one single page before leaving almost immediately. You are looking for a low bounce rate, the higher the percentage the higher the likelihood of there being a problem. For example visitors came, looked, didn’t like what they found and so left. The general consensus amongst web analytics experts seems to be that about 30-40% bounce is a good target to aim for anything above 50% needs investigating. What does it tell me? The key things your bounce rate could be telling you is whether there is a problem with the quality of the traffic coming into your site, your page may be loading to slowly or your landing page is putting people off. Firstly check that you’ve added your tracking code to your page and that the keywords and search terms you are using echo the content of your site. If there is a mis-match you are going to be enticing in the wrong traffic. No matter how great your website looks they just aren’t interested in its offerings. Make sure your website is loading quickly. People don’t have the patience for a website that loads slowly – they’ll simply give up and move on elsewhere. Check out your landing page. Don’t underestimate the importance of a good landing page. It should be well-designed, easy to navigate, contain quality content, reflect the promise you made in whatever promotion enticed them in the first place (so try to always have a separate landing page pertinent to each channel or campaign) and have a strong call to action. What is it? On your Google Analytics dashboard the Traffic Source metric tells you where your website traffic is coming from – what platform are your visitors using to find you? What does it tell me? It will tell you the percentage of visitors coming in through each channel. So traffic coming in via search engines using particular keywords is your Organic Search traffic. Direct traffic is those visitors who entered your website’s URL into the browser. Social traffic are those who arrived through your social media platforms and Referral traffic will tell you those visitors who clicked on your link from another website. It is good way of identifying which areas you need to focus on to drive traffic to your site. What should I do next? Spend sometime looking at each traffic source. Are you doing as well as you expected or do some channels need some work. For example the percentage of visitors finding you via organic search will give you a good indication of how successful your search engine optimisation is. If it is not as good as you’d hope spend some time looking at how you can improve your content. Your content is absolutely essential in improving your search engine ranking. Equally if you find that you are putting lots of time and effort into Facebook but actually you’re getting a better percentage of visitors from Pinterest then it may indicate that it’s more worthwhile for you to put some of the time you spend on Facebook into Pinterest. What is it? Cost-per-acquisition (CPA) is the average amount of money it costs you to acquire a new customer. Divide the total costs of acquisition (for example sales and marketing spend) by the total number of new customers over a specific period – for example 6 months. What does it tell me? Cost-per-acquisition will tell you if you’re spending too much on acquiring a new customer. For example, does what you spend on the acquisition of a new customer exceed the profit your new customer is generating for you? What it is? ROMI is your Return on Marketing Investment. A simplistic calculation for ROMI could be: Total revenue generated from a campaign / Total campaign cost. Remember to multiply the result by 100 as ROMI is usually expressed as a percentage. What does it tell me? The higher the percentage then the better the campaign is working. What you don’t really want are percentages that are in the negative. Work out the ROI for each campaign you undertake. What should I do next? Think about what campaigns are giving you the best return on investment. You can then allocate your budget in the most profitable areas and get rid of the campaigns that are losing you money. What is it? Your shopping cart abandonment rate is the percentage of customers leaving you during the conversion process. To find out where people are abandoning you, in Google Analytics go to conversions and look at goal flow. What does it tell me? These people had already decided to part with their money but somewhere during the conversion process they’ve quit. It will give you an indication whether there is a potential problem during the checkout process that needs addressing. How you can improve it? Identify the steps on your flow that have the highest abandonment percentages and think about what it could be that is making people leave. For example do you present them with an overly long registration form, are their some hidden shipping costs that suddenly appear or is confusing wording making it difficult for people to know what to do next? 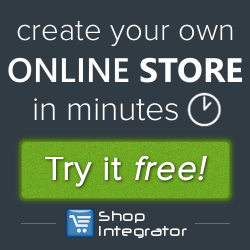 Try to make your checkout process as simple and straightforward as possible. Don’t ask for too much information and don’t have any hidden costs appearing out nowhere. As your business grows and develops you’ll want to start delving a bit deeper into measuring and understanding performance. Moving forward you will need to have clear goals and set yourself specific objectives that you can measure using the most appropriate metric. Of course numbers on their own mean little, it is about understanding what it is your metrics are telling you. Only then can you make the right improvements. Try to get yourself into the routine of regularly checking your metrics on Google Analytics (or whatever web analytics programme you are using). Before you know it you’ll become proficient in reading metrics, identifying trends or spotting any hiccups! We’d love to hear your thoughts and experiences on this post, so do please leave a comment. Marketers are continuing to invest an increasing proportion of their budget in social media. The consensus seems to be that coupled with the continued investment in social media, visual content marketing will be of the key e-commerce trends for 2015. The ease of which images and videos can be shared on social media makes it an obvious platform for visual content marketing. We take a look at the benefits of visual content and offer some helpful tips on how to use visual content to improve your social media presence. “The use of visual content in social media has been phenomenal with 70% jump in 2014” ViralTag. Increased mobile usage: 3 out of 4 Facebook users now access Facebook through their smartphones. And since, images are far easier to digest on a phone than large chunks of heavy text visual content is becoming increasingly popular . High speed wireless networks: Thanks to the wider availability of high-speed wireless networks we no longer have to wait for eons for an image to download. Growth in social media: The continued rise in social media. All the key social media platforms continued to grow during 2014. Of particular note is the impressive growth from visual content based platforms like Pinterest and Instagram who grow active users by 111% and 64% respectively. Human nature: By our very nature we are drawn to visual stimulus. The majority of us are visual learners which means we can digest visual content far more easily than text-based content. In fact according to HubSpot, visual content actually makes up 93% of all human communication. Accessible visual marketing tools: There are more visual marketing tools at our disposal than ever before. Creating professional looking pictures, images and videos is no longer just for big companies and big budgets – we can DIY great, original visual content ourselves. Benefits increased visual content brings your business. Helps with link building: Visual content is highly shareable. Quality inbound links back to your website content via social media can help you with your SEO (Search Engine Optimisation) and improve your search engine page rankings. Increased customer engagement: Visual content such as photos, images, infographics and video improves engagement on social media. According to Hubspot social media posts with photos account for 87% of total interactions. Makes an impact: In a crowded market of online communications a good visual can help your message stand out. Visual content enables you to convey ideas and messages immediately. 5 tips to improve your social media visual content. To help get you started we’ve outlined a few ways to implement quality visual content that will improve your social media presence. Support all your posts with an image. It is far more likely that you’ll engage a user if you have a captivating visual. For example, say you have just written a great new blog article. It is a fascinating topic and you want to share it on social media. Great, but no matter how compelling your headline and subject matter is, it is not going to get anywhere near as much engagement as it would with a relevant image to support it. Finally, don’t use lack of budget as an excuse to not include photos and images. There are a plethora of sites that offer the use of free or low-cost photos and images. Just remember some of the free images may require an attribution. As we’ve mentioned above, using images is essential. But to really captivate your audience try to be as visually interesting and inspiring as possible. Mix things up by trying to veer away from using too many stock pictures. We’ve all seen the standard pictures of smiling business men in suits so many times that to be honest they’re not really going to grab anyone’s attention. Try to think more originally when using supporting images to get a message across – you want to make as much of a visual impact as possible. It should get your creative juices flowing. Including video links into your social media posts is an excellent way of increasing engagement through original added-value visual content. Try creating original videos that showcase your product, introduce your business and team, offer demonstrations on how to use your product or service, give video tutorials, or illustrate how a product is crafted. There are all sorts of interesting ways you can incorporate video into your social media presence. A customer who watches a video is 85% more likely to make a purchase. You no longer have to rely on an expensive production companies to produce a good video. There are a number of online video creation tools around like Animoto or WeVideo. You can also opt to do-it-yourself with a camera and video editing software such as Windows Movie Maker or iMovie. Infographics are a great way to visually convey information in a colourful, interesting and digestible manner. They are particularly useful if you have some interesting numbers or research to impart. Infographics make great blog articles that you can link to via your social media posts. According to research, consumers are more 30 times more likely to read an info graphic than a text-based piece of content. 5. Finally, make visual content a significant part of your overall content strategy. Your social media presence should support your content strategy and drive traffic by enticing an audience back to your website though links and the sharing of content. As we discussed earlier in the article since you are far more likely to attract the attention of an audience on social media with the use of images, photos and video, it follows that you should be making visual content an important element of both your social media strategy and your overall content strategy. If you put time aside and actually plan in some of the visual content ideas we mentioned in the article, you are far more likely to see them implemented and reap the rewards visual content can bring to your business. We’d love to hear your thoughts and comments on this post. So please do leave a comment. As a small business owner how can you improve your online content? Quality content plays a crucial part in the success of your ecommerce business and as such, it should be right at the heart of all your online activity. Good content should be the foundation of your marketing practice, search engine optimisation, web design and your customers’ online experience. Poor, ill-thought-out content can be a real barrier to online purchasing. Despite its importance, we can all get a bit complacent with our online content and forget that it needs updating and refreshing on a regular basis. If you review and update your content frequently then fantastic but, if like most small business owners, you are constantly juggling multiple roles and tasks, then finding time to review and plan content can be a challenge. However if you can manage to schedule some time in your diary to follow some of the content suggestions we’ve outlined in this blog then it will genuinely save you time and money in the long run. Don’t forget quality content is at the core of a successful online presence – do it well and it will make all the activities that follow far more effective. So, put some proper time aside to review your current online content and ways you can improve on it. SEO – customers should drive your content efforts. What will my customers find interesting? What content is relevant to my business? What information is my customer looking for? What information do they need to make a purchasing decision? ““Develop great content” may be the most oft-repeated suggestion in the SEO world. Despite its clichéd status, though, this is sound advice. Appealing, useful content is crucial to search engine optimisation….Crafting fulfilling, thorough content that addresses searchers’ needs improves your chance to earn top rankings.” MOZ Beginners Guide to SEO. Thinking about your content in terms of your customers needs is essential. Before you launch yourself into all sorts of new and exciting content ideas – you first need to get the foundations right. This means reviewing your current offering, setting goals and objectives , identifying content gaps and putting a plan in place. This will better help you understand the content needs of your business and provide you with a solid and realistic base for future content. It also means you are more likely to get it right! Take a long objective look at the content of your website. Be honest with yourself and try to be unbiased (if you’re worried that you can’t see the woods for the tress then get someone you trust to review your content). What are you current strengths and weaknesses? What could you do with a bit more of or less of? Do you have a good balance of content? For example, is there too much lighthearted content and not enough informative content or vice versa. Does your content read well? Is your interesting and relevant to your customers?. Have you had any feedback from customers – what would they like to see? It is only by taking a really thorough look at what you currently offer that you can set yourself realistic objectives and identify any content gaps. What do you want to achieve? Set yourself goals and objectives? What is it that you need your content to help you do? Are you looking to grow the traffic to your site, increase your sales conversion rates or rank higher in search engine results pages? Once you know your overall goals you can then set yourself some SMART content-related objectives. Where are the gaps? What is your current content missing. Once you’ve reviewed your current offering you will better be able to identify content gaps. Think about the balance of content you have. For example is your content primarily entertainment – are there ways you can introduce some more informative content to your website. Conversely if you are business-to-business you may find informative and educational comes easily but you could do with a little more content that entertains. Take a look at Smart Insights Content Matrix – it offers some excellent ideas to help you fill in some of those content gaps to give your business a better balance of online content. How are you going to achieve your goals and objectives? This is where you take all the information you have gleaned from above and put it into a workable content plan with a schedule of actions for the forthcoming year. If you have a content plan in place you are far more likely to stick to it and focus on achieving the actual objectives you have set out. To get you started we’ve highlighted a few key areas you could consider improving to help build your online content. Product pages can easily be overlooked but actually they are a critical part of your customers’ experience on your website. Your product descriptions are a good way to start improving your content. Make sure your product descriptions are written with your customers in mind. What information are they looking for to help them make that all important purchasing decision? Think about what keywords and phrases customers might use when searching for that particular product. Whatever you do don’t just use the product description provided by the manufacturer (search engines don’t like replicated copy). Rewrite the descriptions to them to make them original and customer friendly – it’s a great way to provide some unique, fresh and relevant copy to your website.. If you haven’t already started a blog for your business then it is time to think seriously about setting one up. Blogging is a great way to support your SEO efforts. A good blog provides you with regular, unique, fresh and interesting content. It also helps drive traffic to your site and increases engagement amongst your customers. 81% of consumers trust advice and information from blogs. And, if you are not quite sure where to start then take a look at our helpful blog article ‘How to start a successful blog for your online business’. Visual content is playing an increasingly important part of ecommerce content strategy – and for good reason. Search engines like visual media such as video content so it is great for your SEO purposes. Of course we only need to see the phenomenal success of YouTube to see how is popular a medium it is amongst consumers. Your website is 50 times more likely to appear on the first page of a search engines result page if it includes a video. Have a think of a suitable way you can use video for you business. For example a video tutorial is a great way to show customers how to assemble or use a product. And, if you want to build your ‘brand personality’ video can be a great way to your business a face. You could use video in your email mail as way to entice customers to your website. Indeed, an introductory company email that includes a video receives an increase in click-through rate by 96%. Having content that ‘educates’ and ‘convinces’ is an important part of offering balanced online content. This content tends to be more authoritative and informative; for example – industry trends, whitepapers, news articles, demo-videos, infographics, business guides, research reports and press releases . If you have them make them available to view on your website, if you don’t then think about implementing some. So be open to including user-generated content on your site. Do remember though if you are going to accept user-generated content, you will need to regularly monitor it. It is a good idea to introduce some guidelines that visitors wishing to comment online must adhere to or risk being removed – such as not accepting the use of profanities, posting explicit photos or images, any bullying behaviour or derogatory comments. Having more interactive, entertaining content is a good way to draw customers to your business. It is often the case that business-to-consumer companies often find this type of content generation comes a bit more naturally than business to business companies. Because business-to-business companies may find it slightly harder they may fall a bit short on more ‘entertaining’ content. It is as all about creating a good balance of content therefore interspersing more informative content with a bit of ‘entertaining’ content is a good idea. If you are business-to-business think about including more light-hearted content such competitions, quizzes, community forums or video. Finally – don’t forget to alert customers to all your great content! So you have implemented some great new online content, the next thick is content distribution. How are you going to alert people to your content? Content is a great way to drive new traffic into your website so you need to bring it to the attention of your customers and potential customers. Use an integrated approach to market your content, if possible use both online and offline methods. For example if you’ve posted a new blog article then tell people in an email alert and on your social media sites with a link to the article. Great content will draw people in – you just need to bring it to your customers attention. We’d love to hear your thoughts and experience on this subject so please do leave a comment. How Content Strategy Plays a Major Role in Your Branding Efforts? Does your business have a content strategy yet? If it doesn’t, you are losing out on a wonderful opportunity to improve brand awareness, reputation and authority. It is important not to confuse content strategy with content marketing although both are connected. While content marketing is the process of placing quality content in front of your target audience to build deeper relationships, content strategy is a ‘mindset’ that according to Kristina Halvorson, the founder of Brain Traffic includes “planning for the creation, delivery, and governance of useful, usable content”. Without a content strategy in place, there is very little chance your content marketing efforts will succeed. Your content strategy helps your business create a framework wherein your business and the needs of its customers are constantly evaluated to improve content production and the content processes that help produce this content. The whole idea behind drawing up a content strategy is to ensure that the content is able to drive your brand‘s engagement with its target audience and takes your brand interaction to the next level. 84 percent of marketers who aren’t finding success with their content marketing efforts say they do not have a documented content strategy in place. Learning – Content strategy is of critical importance to brands if they are serious about their content marketing efforts. Think about content strategy as something that helps you maximize the potential of your content. There are businesses/marketers, who think just writing content (high quality content) will help you rank in search engines, enhance the reputation of your business and help people identify your brand. You need a content strategy in place to leverage the immense potential of this content. A well-defined content strategy gives your content a sense of purpose and its own personality and identity. You must know who your target audience is and the kind of content they are looking for. 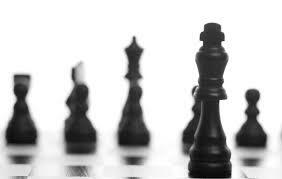 A strategy is also needed to ensure your content is aligned with your business, its products and services and still caters to the needs of your target audience. Content strategy also determines your writing style, choice of content format and how you will market this content to ensure your audience finds it when they are looking for it. What are your objectives with respect to your content? Are you using it to build your brand’s niche authority or as a means of boosting your search engine rankings or something else? Also, what is the content format you want to use; will it be videos, blog content, online magazines, tutorials or pod casts amongst other formats? You need to pick a format that your target audience can easily access and consume. Who will create the content? 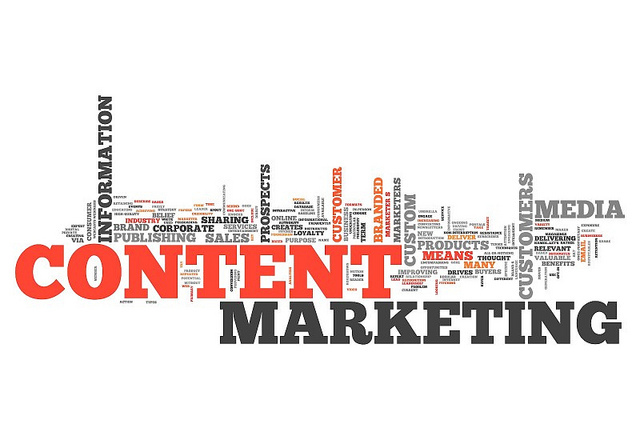 Will you have an in-house content writing team or outsource your requirements. If you do choose to outsource content creation, you will need to ensure you zero in on the right writer/team of writers. Identify your audience, but don’t just identify the audience, you also need to understand them and what they expect from your content. You must also make sure your audience doesn’t receive content that overlaps with your existing marketing communication. How are you going to bring your content in front of your customers? There are plenty of channels you can choose from, but more often than not, it is the content format that determines the channel you use. Explore the various channels available; make sure you know the strengths and costs of each and also ensure that your customers are active users of these channels. This will help you make an informed decision with respect to the content channel you choose and guarantee you make the most of it. How do you know your content strategy is working or not? This is where content metrics enter the equation. You need to zero in on the performance metrics of your content that will allow you to measure your success or failure. You must know whether your content is helping satisfy the needs of your customers and if you’ll need to refine your strategy. At the end of the day you also need to take strategic inputs from every important stakeholder in your business to come up with a content strategy that delivers on your expectations. Your customers are looking for high quality content. The kind of content that is useful, relevant and actionable. They want information that helps solve a problem and if your brand can provide a solution that enables them to take informed decisions, they’ll become loyal followers of your content. What you are also doing is using content as a means to trigger personal interactions with your brand. If they’ve come across a content piece they like and feel strongly about, they’ll comment on it, which can give rise to interesting discussions on your comment feed. Your content acts as a bridge between your brand and its customers. Your brand comes to be identified with its content and if you consistently produce and publish content that adds value to the lives of your customers, it will be reflected in the enhanced reputation of your brand. Your content will be the ‘go-to content’ for a target audience looking for specific information. Google’s incessant efforts in improving search quality for users have meant it is not business as usual for webmasters and SEOs. They cannot get away with everything that they could get away with, a few years ago. Quality is the name of the game now. Gone are the days when they could just fill up content with keywords and build links from just about any source and get away with it. What’s more, there was every chance their website would be rewarded with high rankings on SERPs. The focus is now on quality and earning natural links from authority online sources. And the one thing that helps make this possible is great content. The more high quality content you publish, the more backlinks you can attract from reputed websites/blogs. And this results in higher search engine rankings, which in turn means more website traffic thus improving your website’s chances of conversions. And all this because of content! 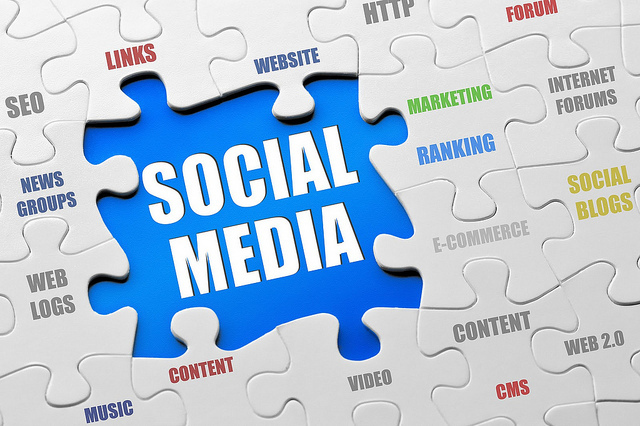 Social media marketing is the buzz word these days and why not. Just about every brand is using social media to boost its branding efforts and it is shareworthy content that lies at the very root of every successful social media campaign. When readers like your content, they want to share it with the people they know so that even their friends and family can benefit from this content. This means your content is shared, re-shared and then shared some more. Your content represents your brand, which means it’s not your content but your brand that is essentially going viral. Your content strategy will go nowhere if you don’t have a sub-strategy to create compelling content in place. Compelling content is the kind that readers love going through. It’s not about creative excellence but about content excellence. You need a certain kind of mindset to produce such content. You need to say to yourself that you want to be the leading provider of niche related information to your target customers. If you aim to play a leadership role as an information provider, you will make the necessary effort to satisfy the needs of your customers. Think of your content like a product and judge its usefulness. It needs to be high up on the utility scale if you want it to succeed. For this to happen, you’ll need to understand the kind of information your customers are searching for. You need to listen to the conversations happening around your domain (social media networks are great listening posts) and create content that revolves around these conversations. To create compelling content you must be in sync with what your customers want. So make sure you know everything about them. Content strategy requires different sections of your business to work as a team. Whether it’s your web design team, copywriting team, web development team, the public relations team or your marketing team – every single one of them should work together to make a decisive impact. Understand that you are in it for the long haul and immediate results might not be forthcoming. Make sure your writing matches the understanding of your target audience. The literacy levels of different people that belong to the same target audience group are different. So choose a writing style that can address the least common denominator in your audience. Writing not only includes the way you write but also the ideas you come up with and the research you do. Make sure you stick to your strategy and not veer away from it during implementation. Otherwise it makes your job more difficult. Your style must be your own. The tone and voice you adopt to make your point must reflect your brand personality. Do not ape somebody else’s writing tone or style. Create one of your own and work towards refining it every step of the way. Mix up your formats but make sure you focus on your strengths. If you do not have the expertise to come up with some solid video content, don’t. On the other hand, if your forte is topical white papers make sure you get one out on a regular basis. The idea is to not make any half-baked efforts with respect to the content you publish. Your customers are looking for the best information available and which makes good use of its content format; you need to be able to deliver the goods all the time. So don’t take chances. Content strategy and your branding efforts need to keep pace with each other. In fact, for many brands it is content that is acting as the main fuel of their marketing efforts. It is a purely content driven marketing strategy and more often than not it is delivering the results they are looking for. Content helps your brand come out looking like an expert and somebody who has the ability to deliver on the expectations of its customers. This in a nutshell is why content strategy needs to be a part of your branding efforts.